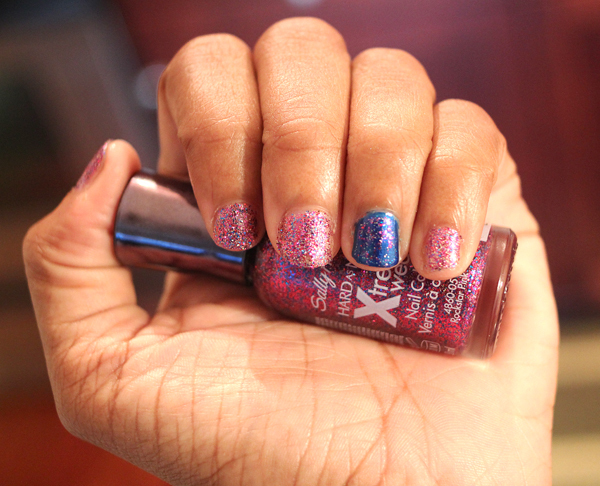 :: NikG* Life + Style ::: Nails of the Weekend & Giveaway! 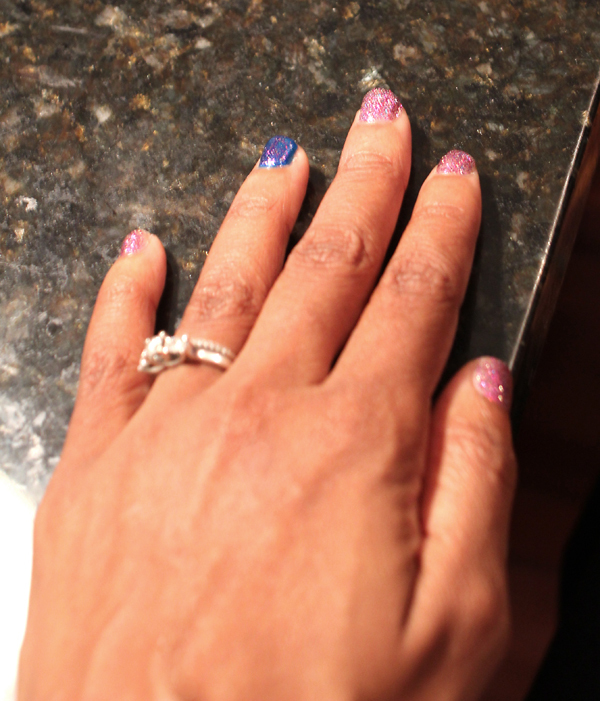 Nails of the Weekend & Giveaway! Gosh, it's been ages since my last post! I'm sorry--just been super busy. I feel like I have my schedule down pat now, so blogging shall resume! I just thought I'd share with you all my NOTW (Nails of the week). Yes, I am still using my Ulta Red Carpet Nails gel kit. I am still in love with it. I've also come up with another way to make use of it. Because there are still other nail polishes that I like that aren't "gel", I've been doing a combo of both at times. By combo, I mean that I will do the gel nails in just clear--basically just the base coat and then the top coat. I then later on, when I have time, go ahead and use the regular nail polish of my choice. Because the gel polish gives a better "base" (like fake nails), the regular nail polish stays on my nail for as long as the gel polish lasts. So instead of 2 days that normal polish usually lasts--it lasts for a week or more. The only con--regular nail polish does have some drying time, which I'd gotten spoiled with not having thanks to the gel polishes. Either way, it's a great way to still get use out of those regular polishes. 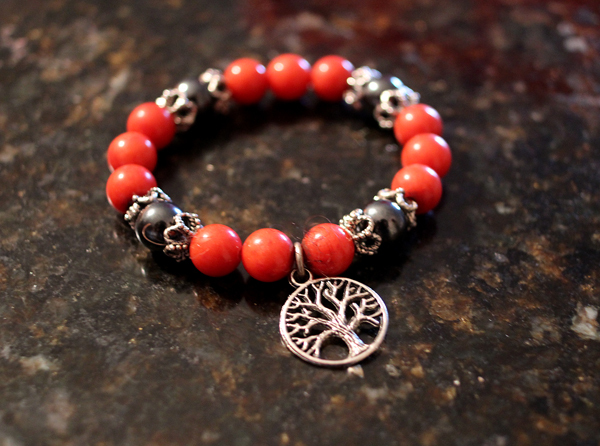 I have a friend who makes awesome jewelry (amongst other things like clothes & scarves, etc.). She is really talented and sent me one of her amazing "Healing Bracelets". Now let me say, I know that there are lots of versions of these kinds of bracelets out there. I know, because I've bought a couple--only to have them fall apart within weeks. I even had the color fade off of the beads because they weren't TRUE solid stones! I definitely got what I paid for. When I received this bracelet, I immediately noticed the weight. These stones were definitely solid. The elasticity felt strong and solid as well. I've been wearing this bracelet religiously for weeks now, and the elasticity is just as strong as when I first got it. Definitely checkout my friend's jewelry at LatraChivon.com. She makes lots of gorgeous stuff! She even sends information on what type of stone that you chose and it's healing properties. 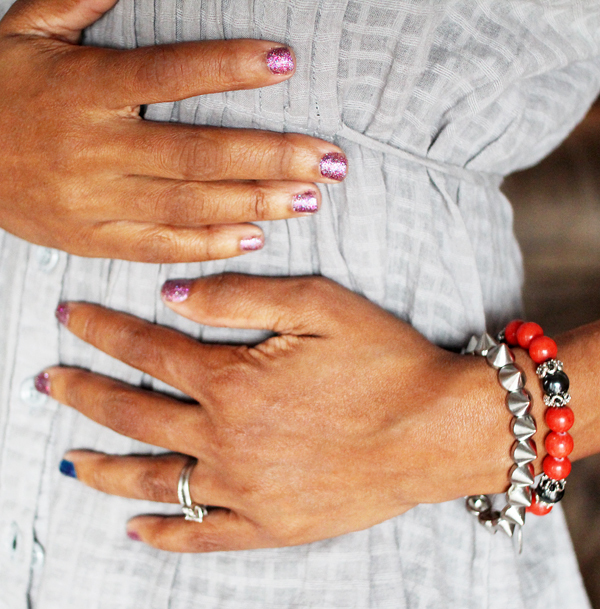 So as a gift to my loyal readers, I'm going to give away one of her healing bracelets. I'm still deciding if I'm going to give this one away, and (in support of my friend) buy myself another one--or if I will simply buy one to give away. Either way, this is what you have to do to enter. 1. You must already be a follower, or become a follower of this blog on Google Friend Connect. 2. You must like my blog's FB Page and LaTra's FB Page! 3. You must go to LatraChivon.com and tell me which bracelet is your favorite in the comments below! Winner will be chosen randomly using one of those automated apps. I will announce the winner in one week!! Good luck!! Thx Tia!! I'm still alive and well! Hey Nik - I love these bracelets but my favorite is the Healing Rainbow Bracelet with an elephant tusk. Love the meaning behind both. Hey Nik- I love these bracelets but my favorite is the Healing Rainbow Bracelet with an elephant tusk. Loving the meaning. Love the bracelets. My favorite is the black healing serenity bracelet. I'm totally in love with the Healing Rainbow Bracelet! I'm totally in love with the Healing Rainbow Bracelet! Thanks! LOVE the pretty yellow color.